Spacecom (Tel Aviv Stock Exchange: SCC), the operator of the AMOS satellite fleet, has announced their AMOS-7 communication satellite is broadcasting the Ukraine’s first ever 4K TV channel. 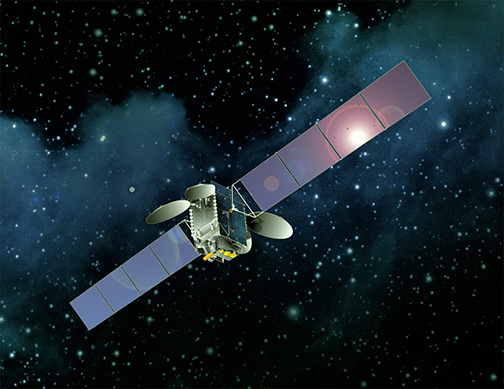 Artistic rendition of Spacecom's AMOS-7 satellite. According to Andriy Verkholyak, Director Nashe Media Group, the success and positive reception by consumers of the company's 4K channel #NASHE HDR is exciting. Working together with UkrKosmos and Spacecom is the correct decision and the firm is already planning for more 4K channels and all look forward to more growth with Spacecom as Nashe's satellite communications partner. Jehuda Amir, VP Sales CIS at Spacecom, added that 4K television is a growth point for TV business and a must-have feature in the premium segment. The company is pleased that the first Ukrainian 4K channel is now broadcasting from a Spacecom satellite. One factor holding back 4K growth is that they require large capacity, which has been expensive. 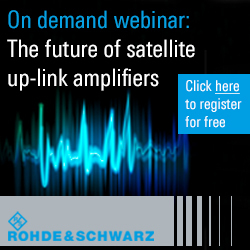 Spacecom’s intensified efforts in developing satellite technologies to provide TV channels with sufficient capacity at a reasonable price have succeeded. Nashe Media Group’s channel on AMOS-7 proves this point.